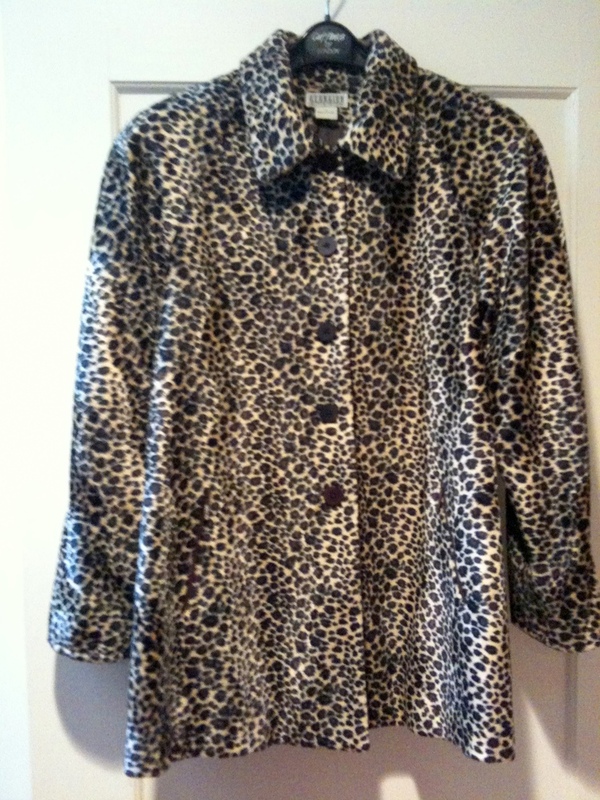 Resolution #Payitforward Giveaway: Leopard-print swing coat (faux fur), size 6 (fits M). DM me if you want it. I’ll ship for free. I’m been a bit erratic with my give-aways due to business and travel, but I’m trying to get back to some regularity before I start traveling again next week. While my book offer doesn’t seem to be very popular, the clothing and accessories are finding homes much faster. 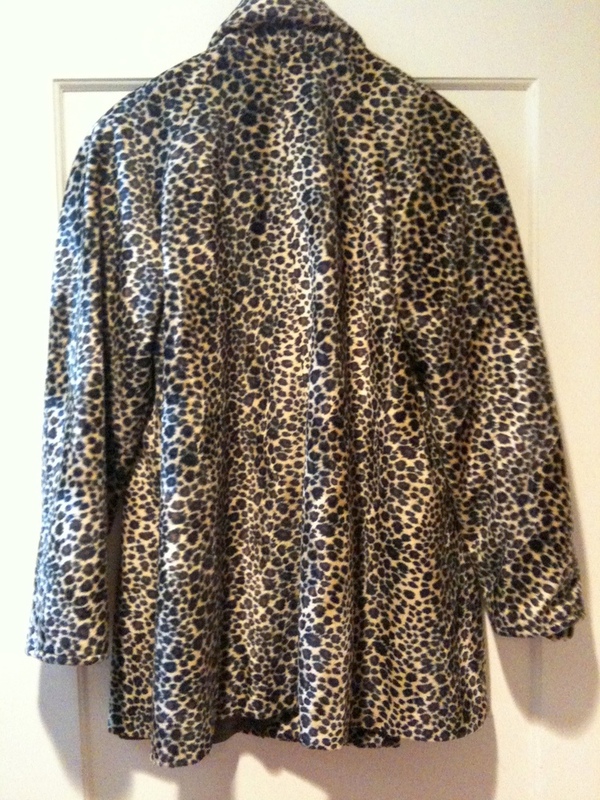 So, with that in mind, please do DM me or @ me on Twitter if you’d like this coat. The coat is a loose, swing fit so it moves with you. 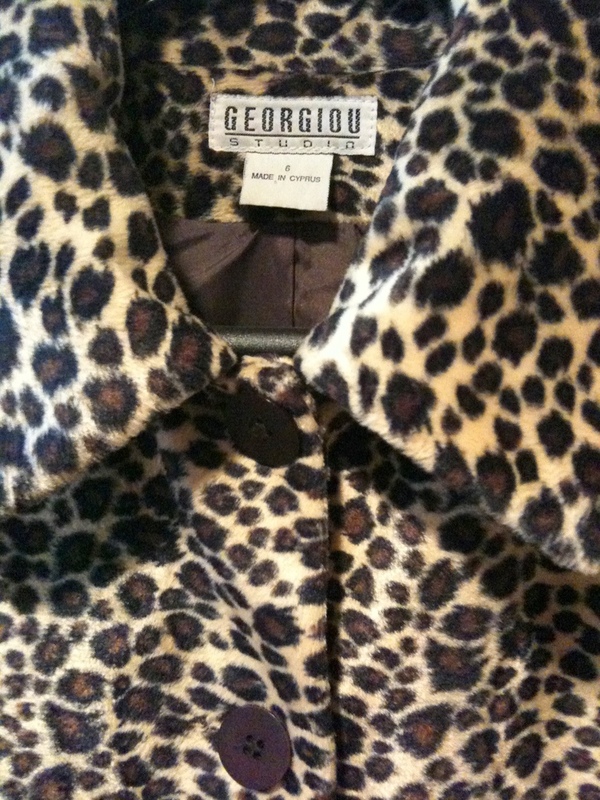 The leopard print is popular now with the current fashion trends, so you’ll be the bell of the ball. 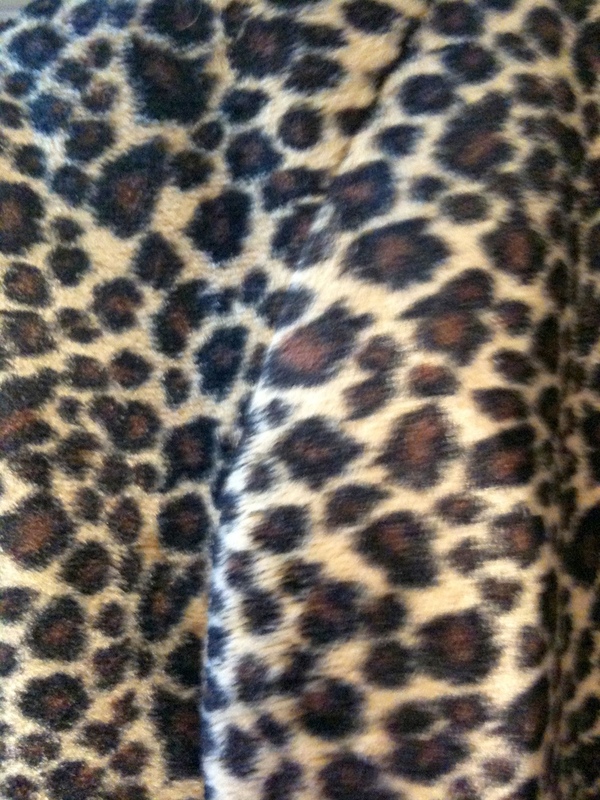 Plus, it’s faux fur so you can rest assured that no leopards were harmed in the making of this coat. Claimed! Will be shipping it to Portland, OR.